Throughout this armchair one can see everything that made the reaction against the "Art nouveau" style, some- times called "noodle style" by its detrac- tors ; the return towards pure and tight forms where straight is omnisent. A real taste of novelty and simplicity that does not reject a luxurious exi- gence, the apparent simplicity of lines hide the complexity of realisation and design that one especially can find in the fuselage of the front legs. 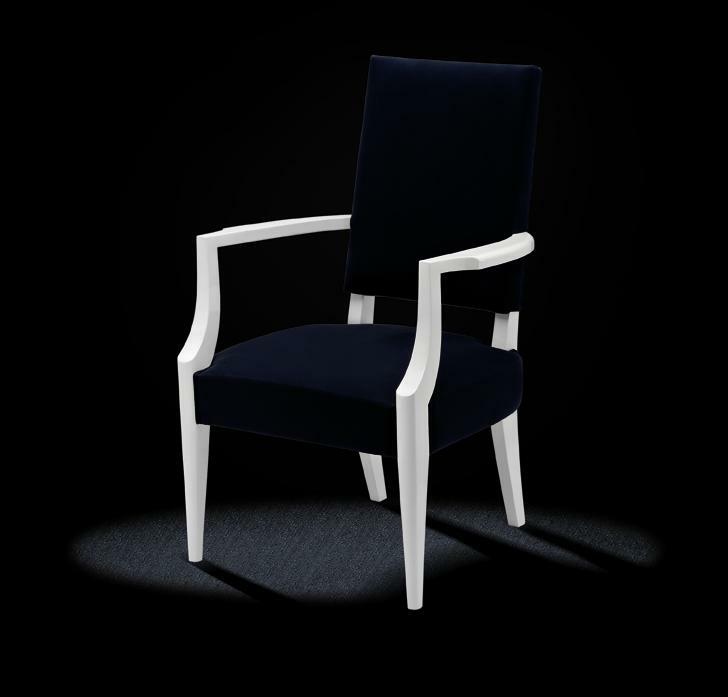 The particular style of this armchair connects it to Jules Leleu.